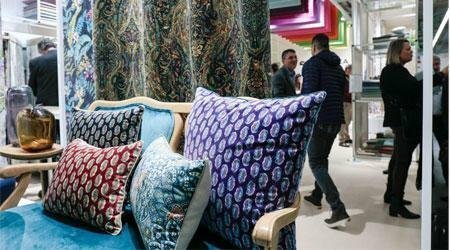 Graphic patterns and sustainable materials dominated the Heimtextil 2019 event which took place January 8th-11th in Frankfurt, Germany. This expo offered a wonderful backdrop for the innovations of 3,025 exhibitors from 65 countries. Heimtextil is currently the leading international trade fair for home and contract textiles.